The migration of the 〈100〉 and 〈111〉 tilt boundaries in Ni and the Ni3Al intermetallic compound is studied by molecular dynamics simulation. The low-angle 〈100〉 boundaries in Ni and Ni3Al are shown to migrate much more slowly (by approximately two times at a temperature of 1700 K) that the 〈111〉 boundaries, which is related to different migration mechanisms of the 〈100〉 and 〈111〉 boundaries. The migration of the 〈100〉 boundaries is found to occur by the splitting of paired grain-boundary dislocations followed by a change of partner dislocations, which proceeds via the slip of split dislocations. The 〈111〉 tilt boundaries move according to a combined action of the following two mechanisms: the mechanism described above and the mechanism consisting in joint slip of paired grain-boundary dislocations, which have common slip planes in contrast to the grain-boundary dislocations in 〈100〉 boundaries. Since the joint slip of paired dislocations has a relatively low activation energy, the mobility of the 〈111〉 tilt boundaries is higher than that of the 〈100〉 boundaries. 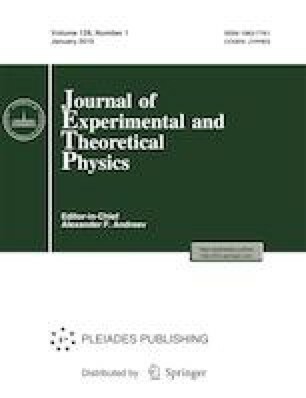 Our molecular dynamics studies demonstrate that the migration rate of analogous boundaries in Ni3Al is significantly lower than in Ni (by approximately three times at a temperature of 1700 K), which is partly caused by the additional energy consumed for the formation of a disordered region behind a migrating boundary in Ni3Al. Because of a relatively low boundary mobility in Ni3Al, the contribution of diffusion atomic displacements during boundary migration is higher as compared to Ni.